Valley View is a beautifully furnished apartment set conveniently on the ground floor, just outside of the delightful Cornish village of Mevagissey. Use this fabulous annexe as the base for a well-deserved, romantic retreat on the Roseland Heritage Coast. This immaculate property benefits from stylish open-plan living area decorated with attractive grey décor. The snug two-seater sofa rests in full view of the Freeview TV, the perfect spot to curl up with your loved one after a day of exploring this sublime Cornwall location. The kitchen area is well-appointed and to the side of the room sits a charming dining table already set for a delicious meal for two. A delightful double bedroom also comes nearby, complete with attractive blues, whites and greys an benefiting from its own lavish, modern en-suite bathroom. Embrace this supreme location by enjoying a glass of bubbly on the patio area. Alternatively, take your dog for a stroll around the 10 acres of grounds available to you. Mevagissey is the ultimately quaint, charm-filled holiday base, a wonderful fishing village featuring a plethora of first-class amenities and a picturesque harbour. Nearby lie some of the region's most astounding locations; St Austell and Truro are simply must-visits, whilst the South West Coast Path is desirable for outdoor lovers. 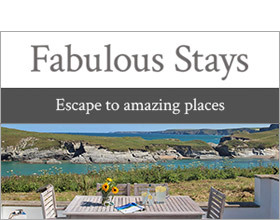 Enjoy Valley View at any time of year for a memorable Cornwall holiday. All ground floor. One double bedroom with en-suite bath, separate shower, basin and WC. Open plan living area with kitchen, dining area and sitting area. Note: No children including infants.